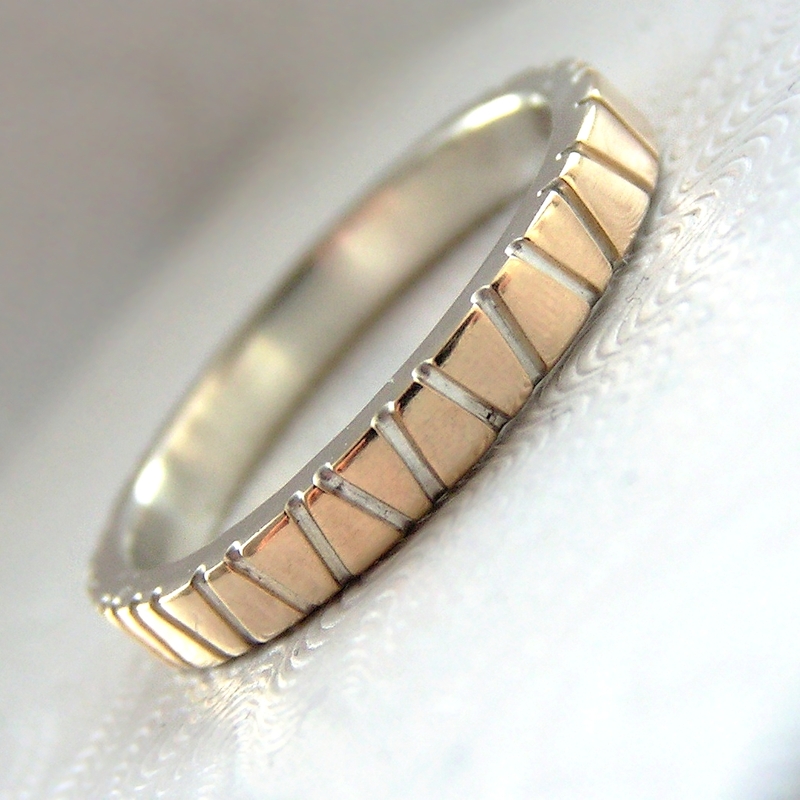 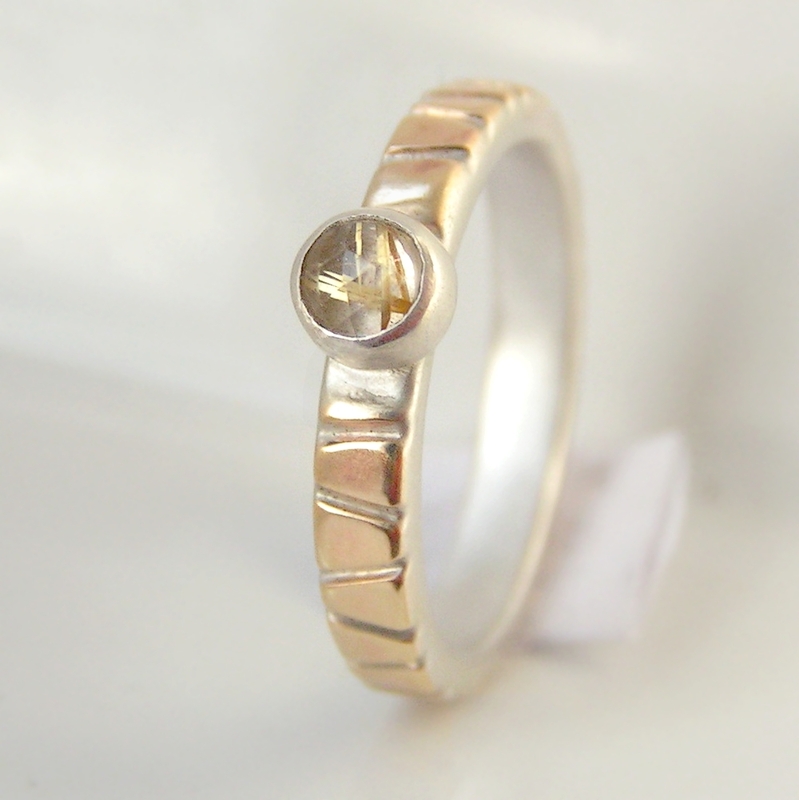 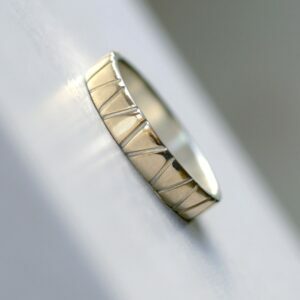 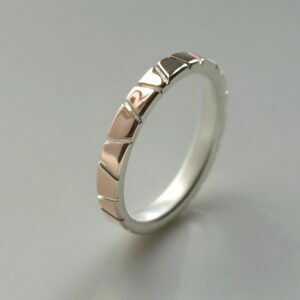 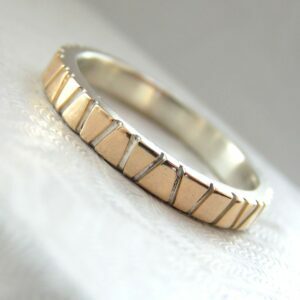 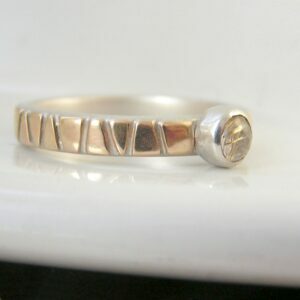 Elegant and modern wedding bands made with combination of thin layer of gold on top of sterling silver. 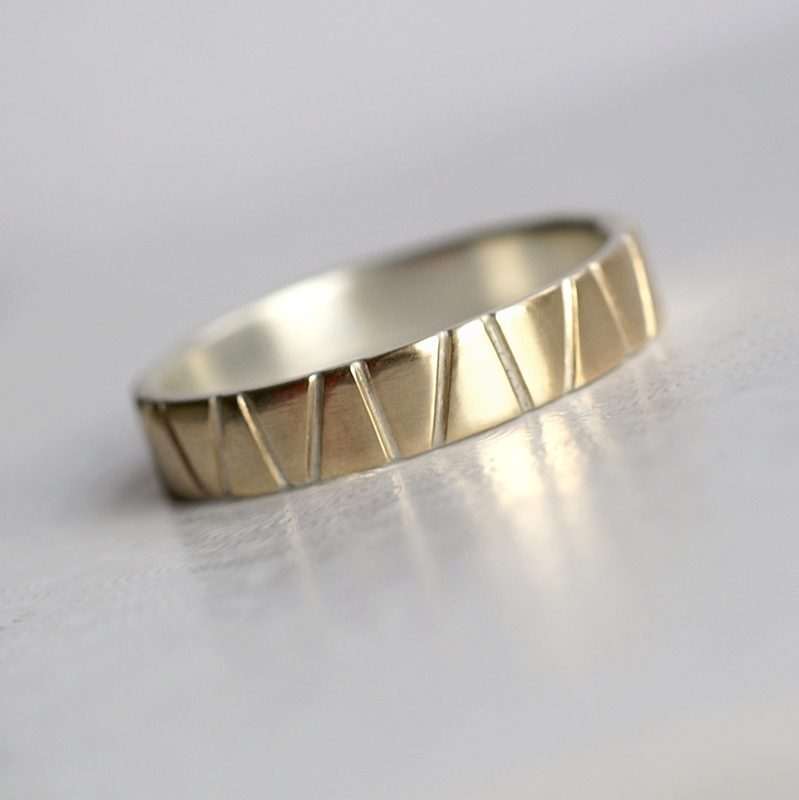 The lines are sawed through gold layer to expose the silver beneath for contemporary geometric look. 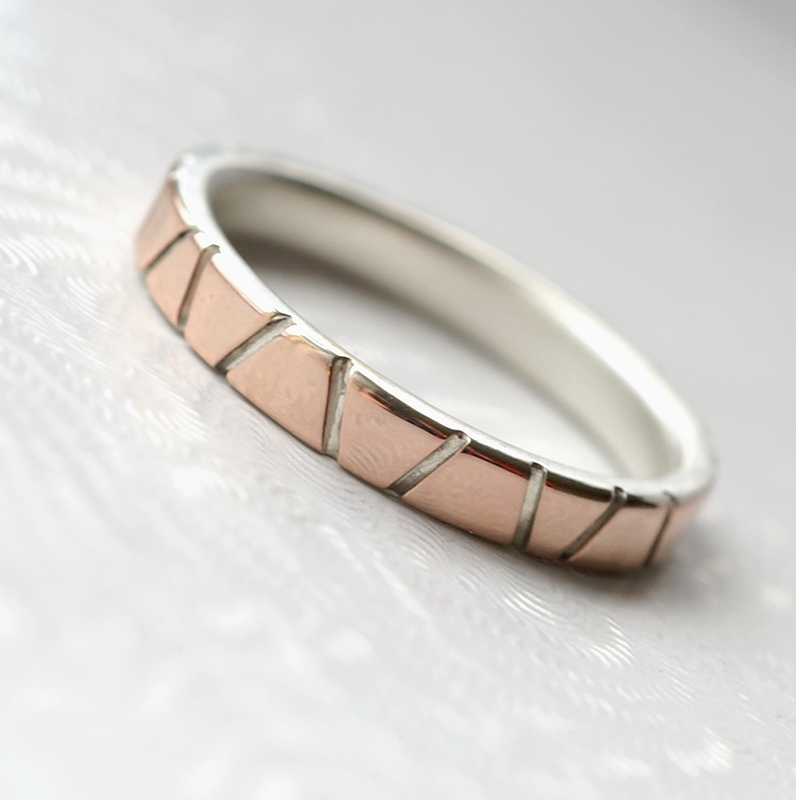 Materials used in this collection are sterling silver, yellow gold and rose gold.